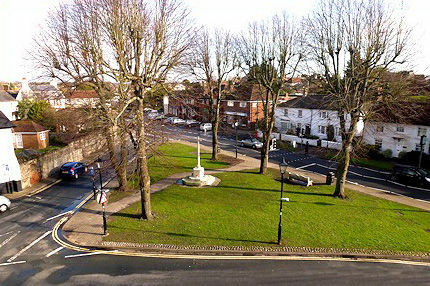 The Shoreham office of Oakley Property are delighted to announce they have recently acquired an exciting new development site in the beautiful village of Angmering, West Sussex, upon behalf of their Clients Gold Property Developments, who propose to build out the site for a development of 30 private market and affordable houses and apartments. Gold are a family run business with over 20 year’s experience and have a reputation for building well-designed family houses, built to an exceptionally high standard. Oakley New Homes have recently launched several well received new developments with Gold in both Cooksbridge and Wivelsefield. ‘Quiet Waters’ is located upon Roundstone Lane in Angmering and is within just ¾ of a mile from Angmering train station. This exciting new development has permission to develop what will now offer 30 impeccably finished family homes with a 10 year CRL structural warranty and Help to Buy will be available. Work on site is expected to start late 2018 and the development will also provide 8 apartments and two houses which will be offered as shared ownership housing. Chris Oakley commented ‘Angmering is a lovely village which benefits from its close proximity to the South Downs National Park and Worthing, with the beach within just 2 miles. It’s a popular destination to live and explore the Sussex countryside and makes this a really exciting project for us to be working upon with Gold. Oakley’s new Shoreham by Sea office will be marketing the new houses and Manager Nick Williams commented ‘Having recently expanded into West Sussex with a new residential sales and lettings office based in Shoreham by Sea, we’re delighted to mark the launch of the new office with this major acquisition for Gold”.